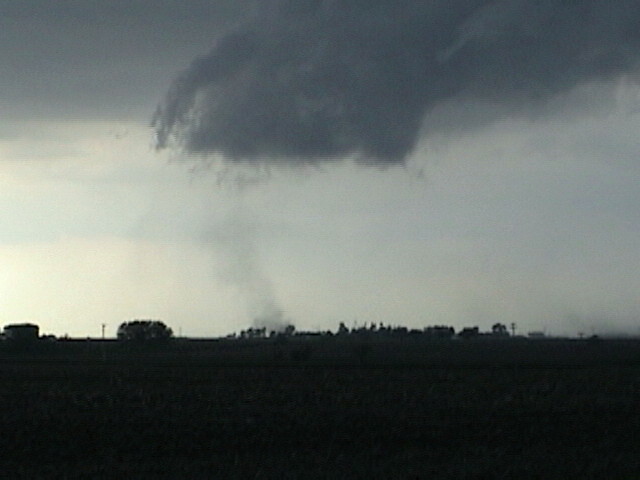 This was a long chase day through Central Iowa. 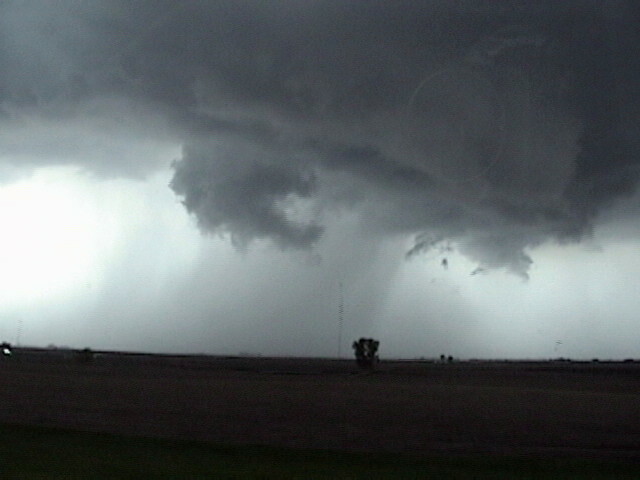 Starting in Sioux City, we proceeded west and intercepted a classic supercell near Carroll. 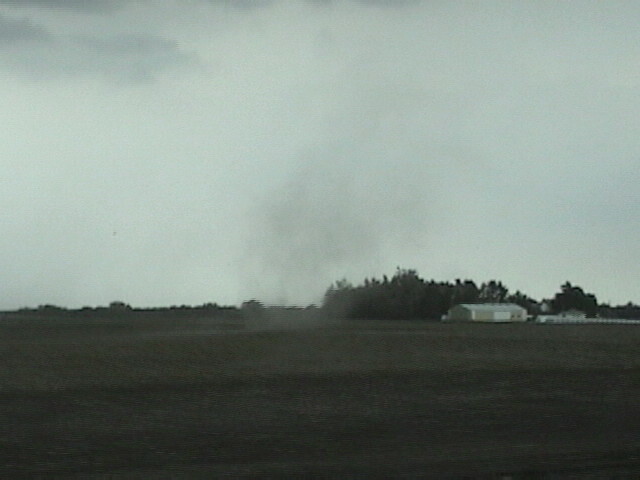 The storm produced a rapidly rotating wall cloud before becoming outflow dominant, producing a number of gustnadoes on the shear line. 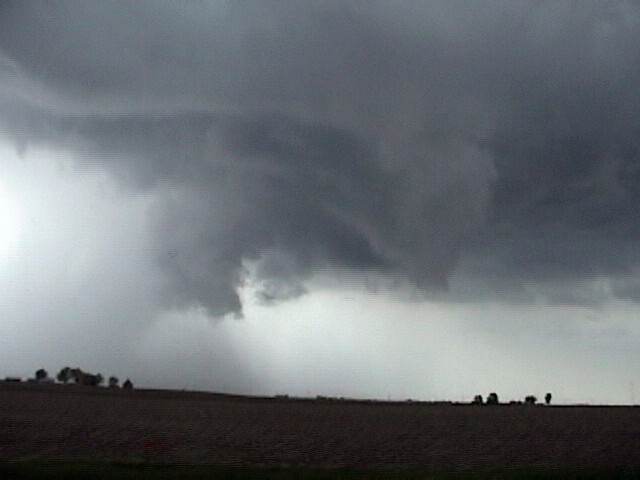 We then moved on to a second supercell, this one a high-precipitation supercell, near Ames. 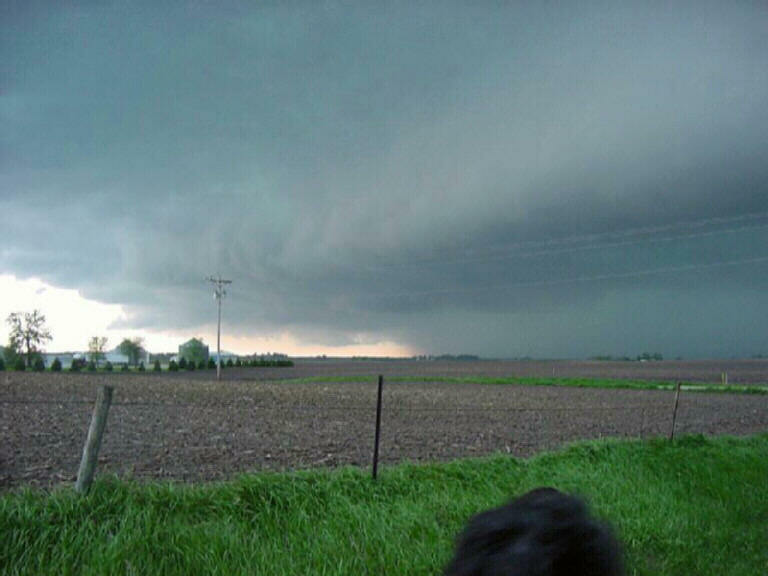 This storm was a monster with large hail. 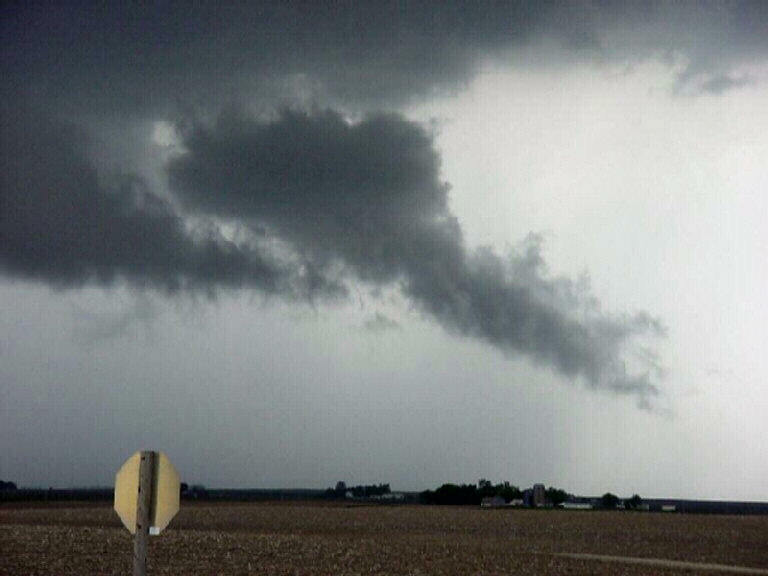 After letting the core close on us, we moved off to the south along the edge of the outflow where the clouds under the shear line exhibited violent, but unorganized rotation. Eventually the day's storms merged into a large squall line, providing us with a nice lightning show on our drive to Kansas City after dark. 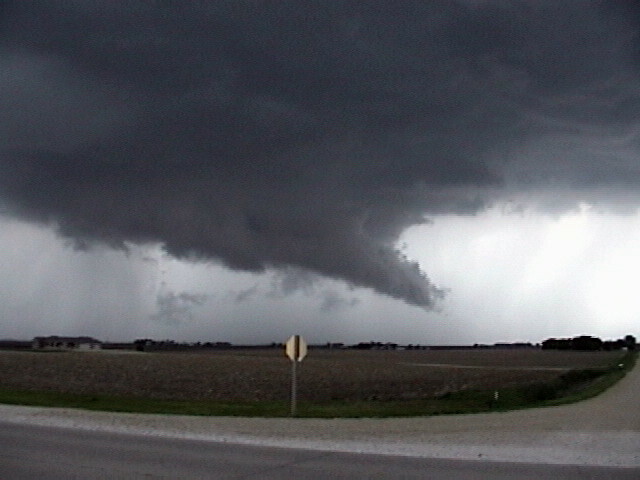 Large tail cloud near Carroll, IA The typical "nose down" wall cloud look of a storm being undercut. 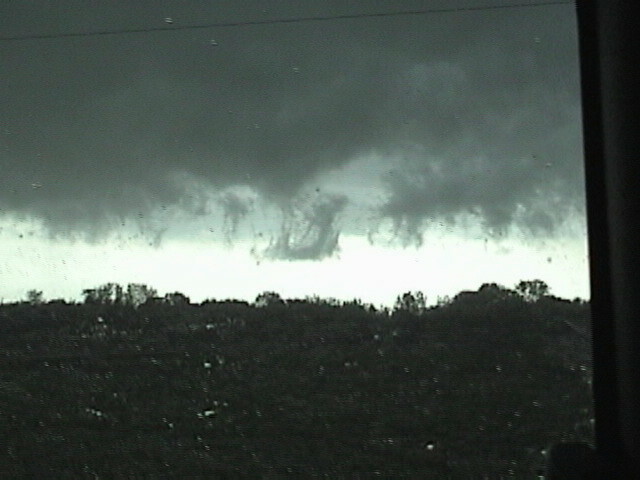 Gustnado under an interesting shelf cloud structure. 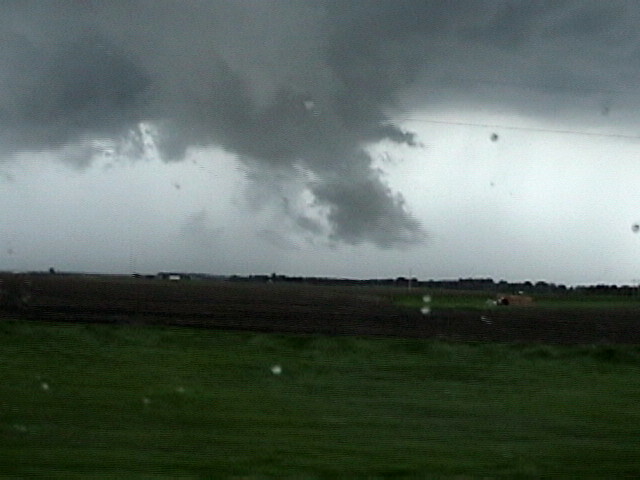 As we proceeded east along with the storm, the wall cloud continuously changed in structure. Strong gustnado forms just to the left of the van. 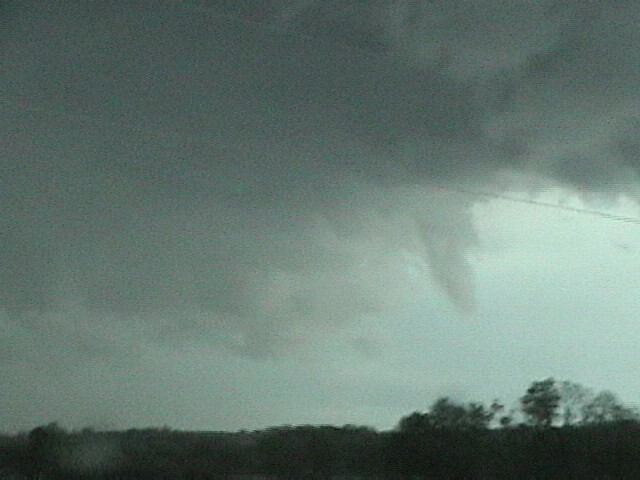 Large funnel cloud forms. 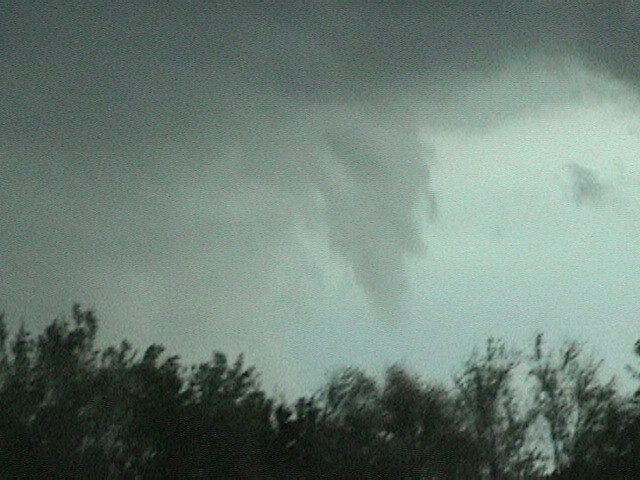 Closeup of the funnel. Here comes the large hail core as the tornado sirens start to sound. Wild differential motion on the shear line. 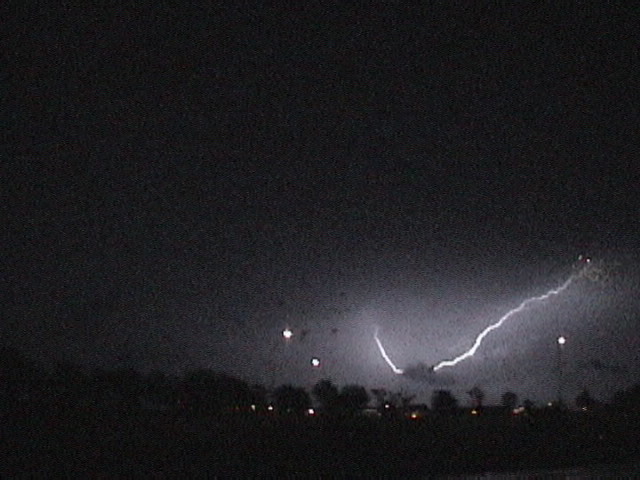 Lightning on the backside of the squall line on the way south to KC.